Natalie predominantly practises family and civil law accepting instructions from solicitors and professional clients, and also from members of the public by Direct Access. Both professional and lay clients appreciate Natalie’s approachable style and practical advice and she has been complimented on her thorough preparation and skilled and effective cross examination. 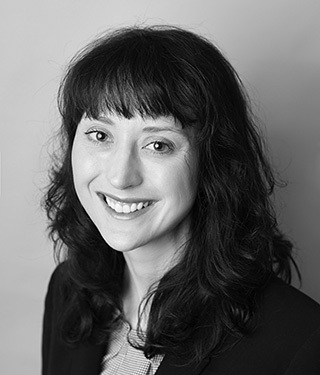 Natalie is instructed in the full range of children matters in both public and private law proceedings. In public law, Natalie regularly represents local authorities, parents and extended family members and is experienced in representing children through their Guardian. Natalie has a broad range of experience and has acted in cases involving non-accidental injuries, serious physical injuries, including burns and fractures, as well as those featuring issues of emotional abuse and long term neglect. Natalie is regularly instructed to deal with Findings of Fact hearings and has acted in complex sexual abuse cases. Natalie has a wealth of experience in dealing sensitively with vulnerable clients with mental health issues and drug and alcohol dependencies and has acted in a number of cases involving the Official Solicitor. Natalie is keen to develop her practice in Court of Protection matters. Natalie has successfully represented an Aunt and Uncle in a contested in-family adoption matter in the Principal Registry. In private law children proceedings, Natalie’s practice encompasses applications for the full range of Child Arrangements Orders in respect of where and with whom a child should live and what time should be spent with other family members. Natalie is experienced in dealing with specific issues that arise in the family context such as disputes over schooling, holidays and removal from the jurisdiction. Natalie has vast experience of acting in matrimonial finance cases, particularly in matters with an international dimension.